Russia was slapped with sanctions in 2014 because of its annexation of Ukraine's Crimean Peninsula and the armed conflict in eastern Ukraine, with Kiev and the West accusing Moscow of backing rebels -- allegations the Russian authorities deny. 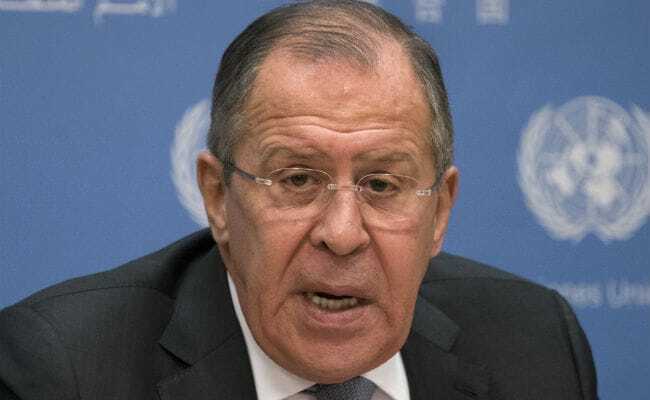 Russian foreign minister called sanctions imposed by the USA and EU "absurd and baseless"
Moscow, Russia: Russian Foreign Minister Sergei Lavrov on Sunday said the West's "unprecedented Russiaphobia" was worse than at the height of the Cold War. "This Russiaphobia is unprecedented. We never saw this during the Cold War," Lavrov, fresh from a visit to New York on Thursday and Friday, said in an interview with the Russian daily Kommersant's online edition. "Back then there were some rules, some decorum... Now, all decorum has been cast aside," he said. Lavrov denounced what he called "efforts to punish Russia by any means possible," calling sanctions imposed by the United States and the European Union "absurd and baseless". Russia is also mired in a doping scandal which led to the exclusion of its athletes from the 2016 Olympic Games in Rio de Janeiro and the World Athletics Championships in London last year. The International Olympics Committee has also suspended Russia from next month's Winter Olympics in Pyeongchang, South Korea. "Clean" Russian athletes will be allowed to take part under the Olympic banner.